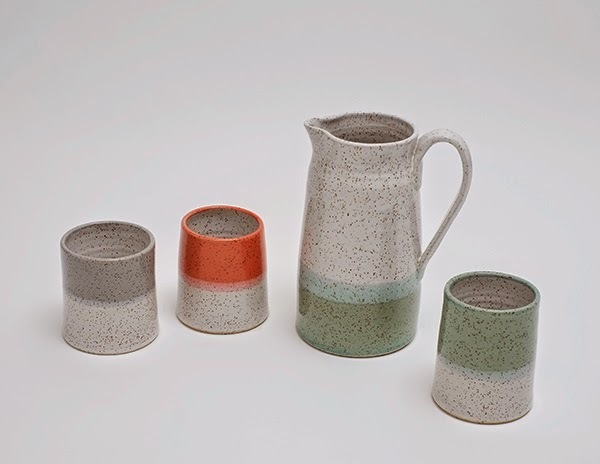 Heather Dahl, founder of Vancouver-based Dahlhaus Studio, has launched her spring 2014 ceramic collection - a range of naturally speckled neutral stoneware with vibrant glazes that have a West Coast Modern feel. 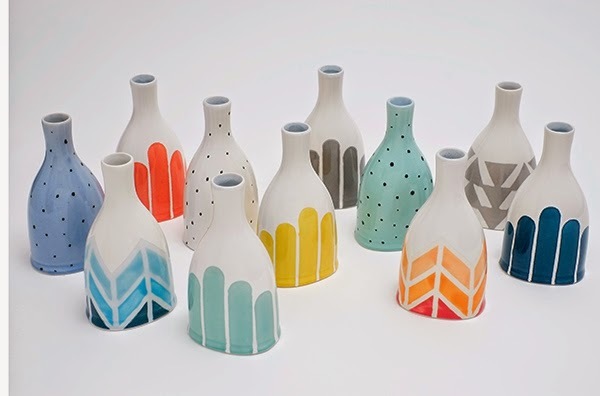 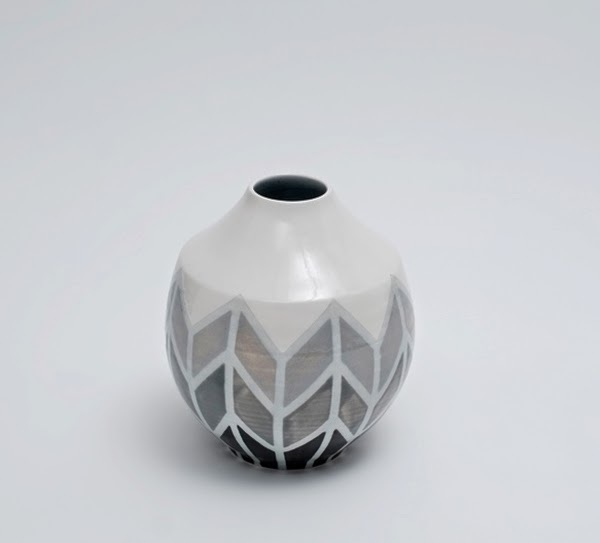 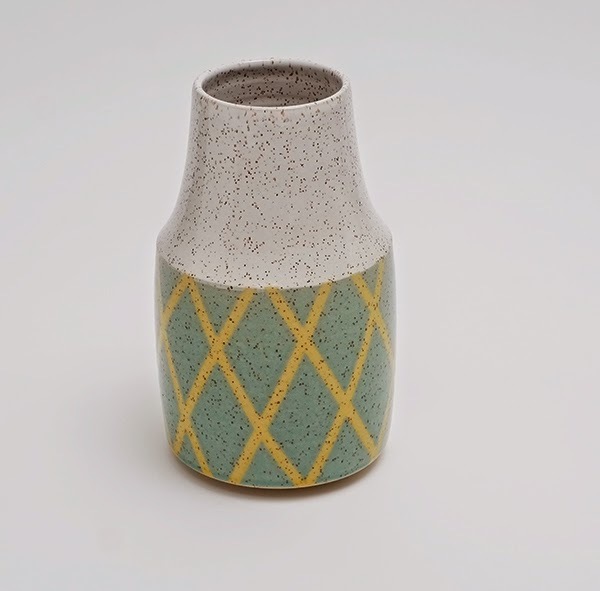 The ceramics are decorated with small-scaled dots, curved stripes and herringbone patterns in tonal colourways and graphic triangle motifs in cement grey. 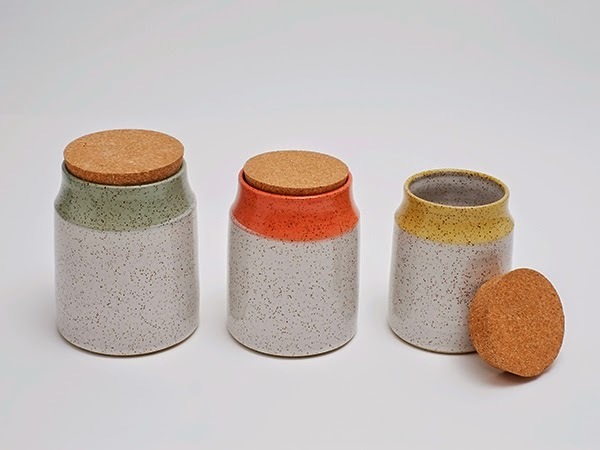 Dahl combines new stoneware clay with a porcelain clay mix, which is either wheel-thrown or slip-cast to create the vessels.